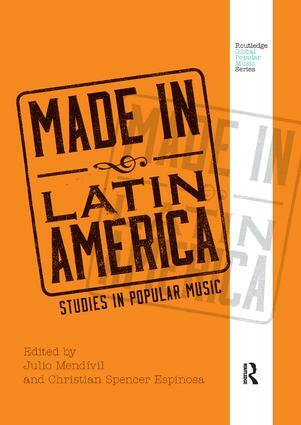 Made in Latin America serves as a comprehensive introduction to the history, sociology, and musicology of contemporary Latin American popular music. Each essay, written by a leading scholar of Latin American music, covers the major figures, styles, and social contexts of popular music in Latin America and provides adequate context so readers understand why the figure or genre under discussion is of lasting significance. The book first presents a general description of the history and background of popular music, followed by essays organized into thematic sections: Theoretical Issues; Transnational Scenes; Local and National Scenes; Class, Identity, and Politics; and Gendered Scenes. "This book constitutes not only a key contribution to the field of Latin American music studies as a whole, but it also responds directly to the pressing need of making the work of Latin American scholars available to Anglophone readers. As the editors point out, the academic production of a vast portion of Latin American scholars remains unknown in the Anglophone academy. While highlighting the sophisticated ideas of leading authors in the field, the book offers a robust intellectual ground to counterbalance Anglophone readers' ideas about the music and the academic production of the region. This book would be a very useful addition to upper-undergraduate or graduate courses on Latin American music or Latin American music scholarship. It would also be an ideal point of entry for scholars interested in engaging with the field and with their colleagues south of the border. Taken together with other recently published volumes on Latin American scholarship, this book should be celebrated as another important brick for the construction of a bridge between the Latin American and Anglophone academies." Julio Mendívil is Director of the Center for World Music at the University of Hildesheim, Germany. Christian Spencer Espinosa is an ethnomusicologist, musician and sociologist. He holds a PhD in musicology from the Universidad Complutense de Madrid and Universidad Nova de Lisboa (European Mention). The Routledge Global Popular Music Series provides popular music scholars, teachers, students, and musicologists with a well-informed and up-to-date introduction to different world popular music scenes. The series of volumes can be used for academic teaching in popular music studies, or as a collection of reference works. Written by those living and working in the countries about which they write, this series is devoted to popular music largely unknown to Anglo-American readers.